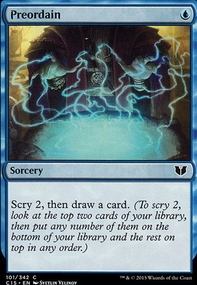 Do spells(instants and sorcery of course) casted before Thousand-year storm was in play count for its storm? 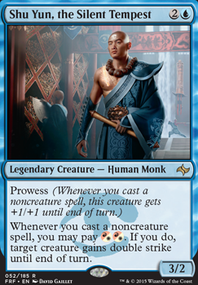 Trostani, selesnya's voice is usually associated with being a token focus build. Here's some suggestions if you wish to go into that direction Advent of the Wurm , Crested Sunmare , Second Harvest , Aetherflux Reservoir , Sandwurm Convergence , Dawn of Hope , Sylvan Reclamation , Elemental Bond , Colossal Majesty , Seance . 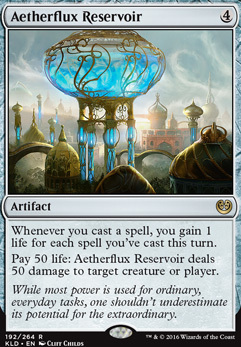 you should consider Aetherflux Reservoir as a way to use some of your surplus life for offensive purposes imo. You guys act like you can simply slot a card like DD without adding the other slew of highly expensive artifacts, lands and other Spells you need to properly storm off. As is this deck is completely not ready for cards like Doomsday , Ad Nauseam , or even Aetherflux Reservoir . I mean sure you can do Dramatic Scepter and jam a Reservoir but what does that even do without the rocks to back it up. 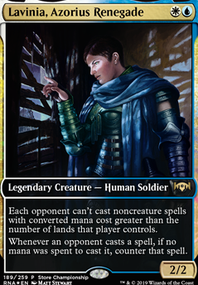 This is clearly a budgetish grixis value list and I think it's just fine! 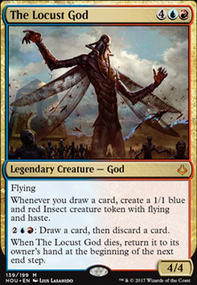 Sure, If you'd like to add 3 duals, LED, Mox Diamond , Grim Monolith , Chrome Mox , Yawg Will, and (God forid Timetwister ) or whatever else (candleabra, tabernacle) budgetless cards that's fine and it would be much better obviously. The fact is you can't build a proper Kess list for under 1k. 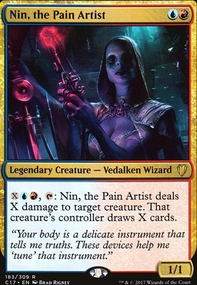 Sphinx-Bone Wand sounds like really great addition, but isn’t it too slow? I think it will only work when Smothering Tithe is in play. It’s much better to use Aetherflux Reservoir which also heals you for lesser manacost. I might find place for Spellbook and Library of Leng if there are any in my local area! Spellbook , Sphinx-Bone Wand , Library of Leng and if possible... Primal Amulet Flip or Aetherflux Reservoir for some laughs if you add more to the budget later but as they should add some more punch to the deck.